This summer, an E. coli outbreak from tainted romaine lettuce killed five people, put nearly 100 in the hospital, and caused over 200 to fall ill. According to the Center for Disease Control, these numbers made this the deadliest E. coli outbreak on American soil in over two decades. Though the tainted greens were eventually traced to a single farming region, both the CDC and the Food and Drug Administration struggled to identify how, when, and where the contamination actually occurred. Responses from consumer groups were not kind. A late-May letter signed by nine organizations read, "Retailers using advanced technology, such as blockchain, now report they can identify the origin of certain produce shipments in as little as 2.2 seconds. Given these advances, it is no longer acceptable that the FDA has no means to swiftly determine where a bag of lettuce was grown or packaged." Walmart announced this week its intention to join these tech-enabled retailers. In a letter to its leafy greens suppliers, the corporation unveiled the Walmart Food Traceability Initiative. Powered by blockchain technology, these measures are intended to "increase transparency in the food system and create shared value for the entire leafy green farm to table continuum." The announcement represents a milestone in Walmart's ongoing partnership with the IBM Food Trust Network. 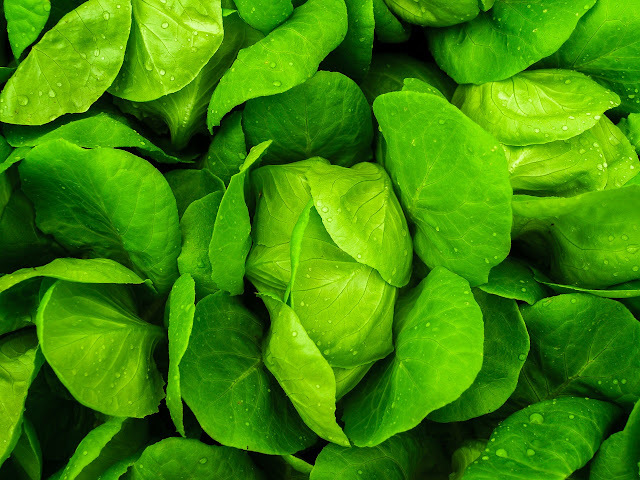 Over the last eighteen months, Walmart has worked with IBM and select suppliers to develop and test a blockchain-enabled system for tracking its lettuce. The trials have proven it possible to trace an individual package from farm to Walmart store in a matter of seconds. This week's letter makes it clear that Walmart considers such innovation long overdue. "Walmart believes," it says, "the current one-step up and one-step back model of food traceability is outdated for the 21st century." The retail giant goes on to insist that its suppliers join them in entering this new era. By February of next year, Walmart expects each of its direct suppliers to leverage the IBM Food Trust Network to provide at least one-step back traceability. By October, they are required to work directly with their own suppliers to provide Walmart with full, end-to-end visibility. This might sound like a big ask, but Walmart also ensures its suppliers that joining the initiative requires little more than "a smart device and internet." Walmart's initiative is just one example of an organization leveraging blockchain tools to improve traceability and promote consumer safety. The IBM Food Trust Network alone constitutes a massive, collaborative effort to put this evolving technology to socially responsible use. Its progress thus far suggests, at the very least, that blockchain is far more than an empty buzzword. Still, not everyone is convinced. Sarah Taber, an independent food safety consultant, expressed her skepticism to Supply Chain Dive. "People get excited about blockchain," she remarks, "because it is fantastic for tracking digital assets, but for physical assets, it's just not." She suggests that disorganization and poor communication are generally to blame for poor traceability. A new technology, however revolutionary, cannot hope to remedy these. Speaking from years of experience, she presents "investing in people" as the only real answer to the food contamination issue. Taber's warnings provide a helpful reminder that investing in new tools at the expense of people is a short-sighted, potentially ruinous move. Walmart concludes its letter by reminding suppliers that it is striving "to create a safer, smarter, and more sustainable food system so people can live better." To reach that goal, the ambitious retailer must take care not to let technology obscure its view of those people.